I feel anxious right now and I don’t know why. I just got up from an attempted nap and know I should put on a prenatal yoga tape and stretch this pregnant body but I don’t want to break the stillness around me. The sweet silence that is draping over our house at the moment is so precious to me. I can’t hear Danny Beats rockin his top 40 hip-hop next door or the drug addicts fighting across the street. This is like heaven to me. There is a beautiful grey cloud hanging over us as well, and I love the color grey. It makes me feel soft and spacious. I sat down on the couch, closed my eyes, and began to breathe. I breathe deep into my belly and into you. I feel a pit of sadness welling up in my stomach and it wants to get out. I don’t know what it is about, exactly. But I have some clues. Your Dad has to leave again, real soon, for London for five days, and I really don’t want him to go on another business trip, again. I feel kind of needy and pathetic, but life is just brighter and more fun when he is around. I have this deep seeded (or is it seated) fear of being a single Mom. My Mom says it’s because I remember only too well what it was like for her. Not fun. Being with your Dad is fun. I like him. A lot. A whole hell of a lot. 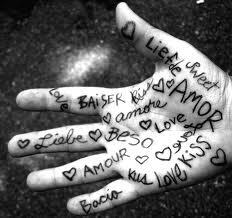 More than I know how to say. There aren’t words. I need a new vocabulary for this. I also want to cry because I want so badly to do a better job with you than the job I had done with me and I am terrified of making huge giant mistakes that you will hate me for. Although I am assured by those who know more than me that I can make amends to you, something that didn’t happen with me. And that is okay. I know how to do that. I know how to say I am sorry, I really fucked that up, what can I do to make it better? Although with you, I will try not to swear. So here is the deal, Pony, this is what I need from you. If you can talk to your Dad in his dreams, then I need you to talk to me about a couple of things. 1) What color do you want your room to be? I am leaning towards lavender and white with a touch of grey trim. I want to put decals on your walls- but can’t decide between owls, giraffes, or birds. 2) How do you want to sleep? The debate between co-sleeping and not is deafening. I am torn and tired from all the literature. RIE suggests sleeping on your own, says it’s better for you. However, Attachment Parenting believes it cruel and unusual not to have you in the bed. According to my dear friend Katie- her first daughter Chloe slept better by herself from the beginning but her other daughter Mazzy, can’t sleep apart from her. I love a lot of The Baby Whisperer, especially the part about routine and schedule- but not sure how young or old you need to be for that. I might be drowning myself in information when all I need to do is watch and learn from you. However, I soothe myself with information, it’s my glass of red wine at the end of the day. And is there ever really too much of it? 3) And lastly- as a huge favor to me- would you help me as much as you can on the day of your birth? I want to do this without medication, but I really need your cooperation, and I promise you I will give you 100% of mine. I know that together, we can do this. We are team Husom. We are family. Dad will be there too, cheering us on. Let’s make him proud. 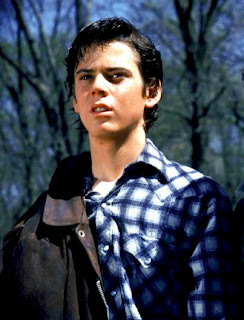 To finish this neverending blog I want to tell you about your name, Pony, and the character that inspired it, Ponyboy Curtis, from the movie The Outsiders. Directed by Francis Ford Coppola, it is a true classic. And Ponyboy has all the qualities I admire and want for you. He is sensitive, artistic, heroic, loyal, and true. He loves sunsets and poetry and would run into a burning building to save a child, even though he is a greaser and from the wrong side of town. They debate the meaning, but it is never totally clear until the end, when Johnny is on his deathbed and he tells Pony- Stay Gold, Ponyboy, Stay Gold. What he means is; stay young, green, and new. Don’t ever get jaded and old. Don’t ever shut yourself off or down from the wonder of this world. And I mean that for you too. 10 things I want to teach you, if I can. 10. And that you are loved beyond your ability to comprehend. I am crazy about you kid, I love you with all my heart. ← I’ve stopped following the ridiculous fruit comparisons.